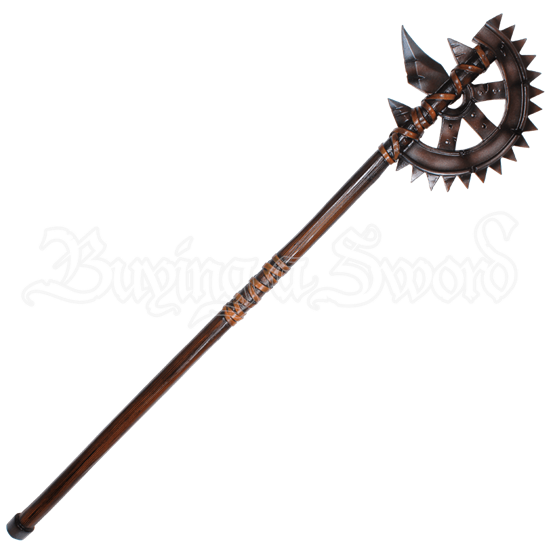 Not all weapons from a steampunk world are technologically advanced. Some are stylized in their shape yet straightforward in their design. This Steampunk LARP Gear Axe is one such weapon that remains rather effective in an advanced tech setting. 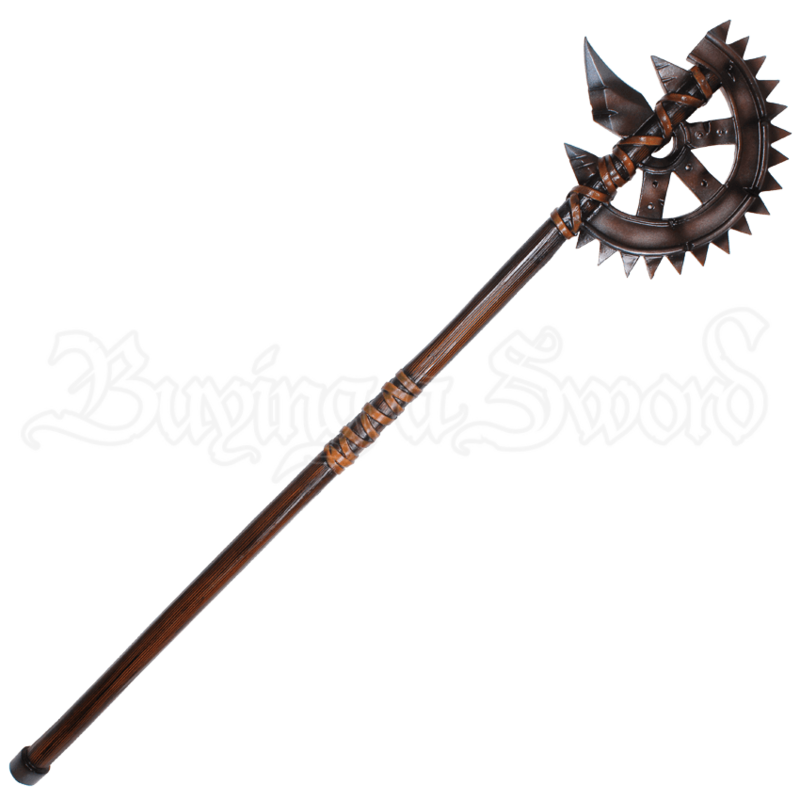 With a head shaped like a gear, this axe looks fully capable of grinding anything in its path into powder, while still offering up an axe blade to cleave and chop with frightening ease. The weapon is steampunk yet classic, as well as rather safe. It is made from foam latex sealed in silicone and supported by a fiberglass core. This Steampunk LARP Gear Axe is a handmade LARP weapon so its measurements can vary slightly from what is shown below. Latex weapons do need to be maintained to a certain degree. We offer a Maintenance Silicone (MCI-2000) that can be purchased separately in the LARP Accessories section. We recommend you use the Silicone on a regular basis. It has an easy, spray on application. The silicone will keep the coating flexible and make the weapons last much longer. The maintenance silicone protects the coating from drying out and helps the weapon resist wear and tear.